London has some great foodie hotspots with local businesses popping up all the time especially in East & South East London. 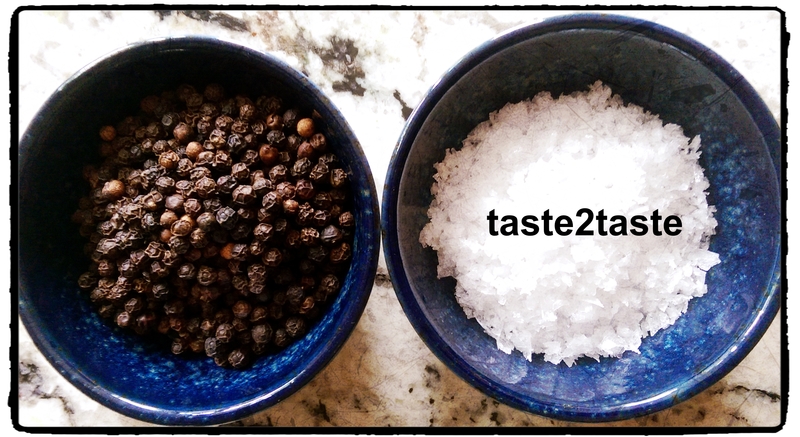 From established food markets to lesser known small artisan businesses food culture continues to change, grow & develop. With Simon over from New York visiting family it was a good opportunity to take taste2taste on a foodie tour & share some of our faves with you. 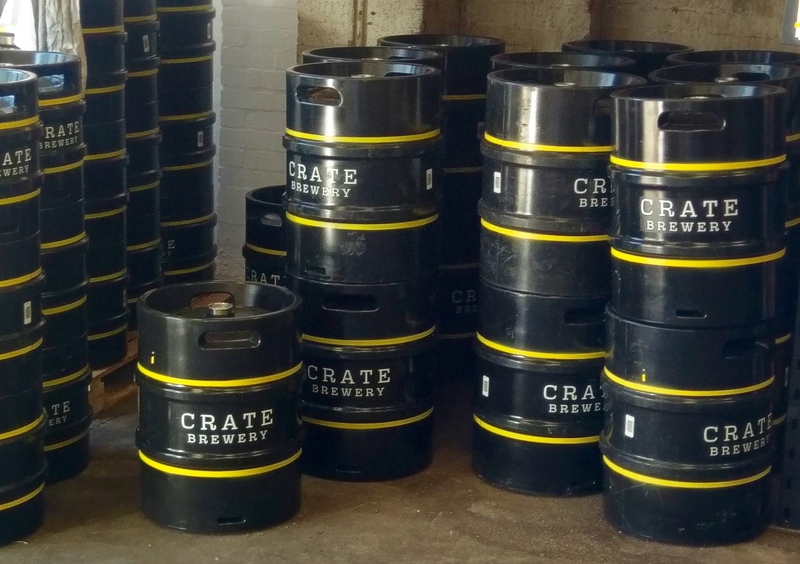 In an earshot of Queen Elizabeth Olympic Park in Hackney Wick is Crate Brewery, (cratebrewery.com). 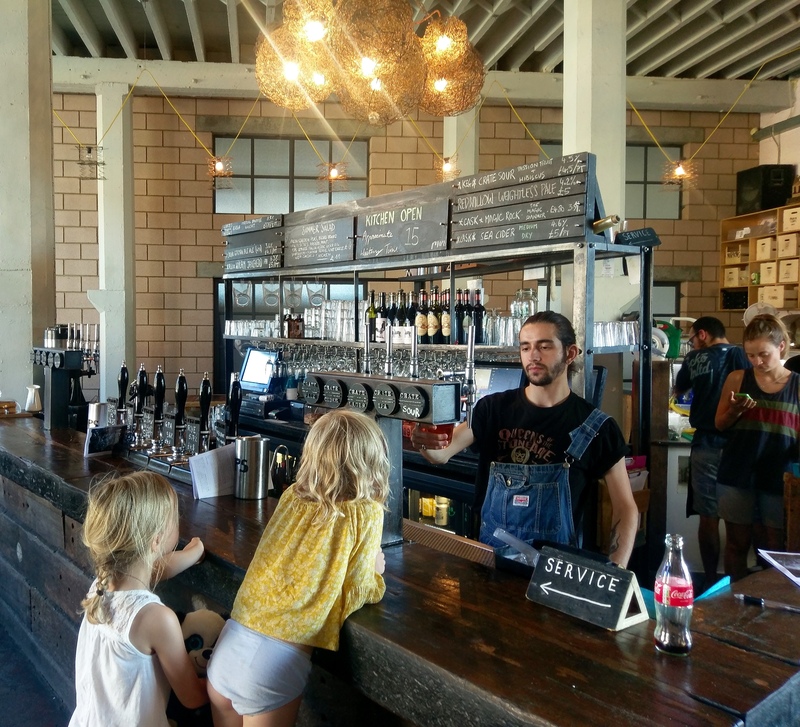 Located in a former sweet factory with a cool, industrial vibe, overlooking the Lee Navigation Canal, Crate specialise in craft beers & pizza. 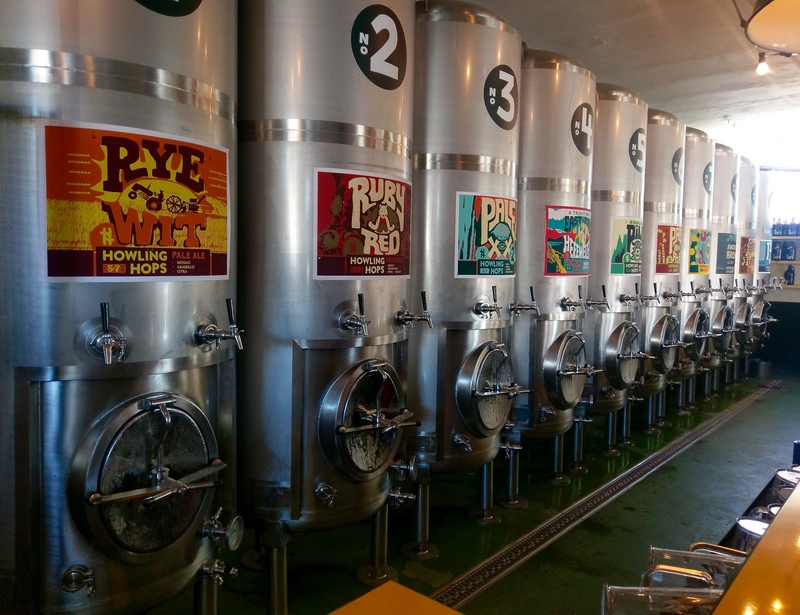 They feature a range of 9 Crate brews on tap, made on site & some specials . They also stock guest bottles of lager, IPA, pale, dark, wheat, lambic, saison & fruit varieties, wine and soft drinks including kombucha (fermented sparkling tea). There is a great choice of home made pizzas with interesting toppings including Middle Eastern lamb; & courgette, feta, red onion & gremolata as well as classics like Margarita & spicy salami. We decided to try the sage & truffle and Kashmiri dahl (picture at the top). Dahl on a pizza you may think sounds weird! It actually works brilliantly with the crispy thin base topped with dahl (Indian cooked lentils), spinach, chilli, mango chutney, yoghurt & coriander – a tasty balance of savoury, sweet & spice. Beer with a view – did they win gold? The sage & truffle featured grated potato, crispy sage leaves, parmesan & truffle oil – very savoury and the perfect accompaniment to some beer. 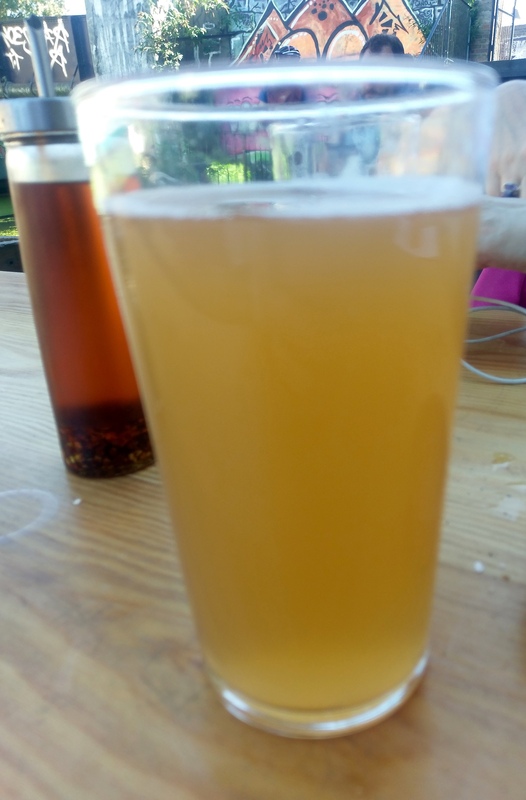 We tried the special Passionfruit & Hibiscus Fruit Beer, pink, cloudy & flowery; Crate IPA (Cascade & Chinook hops 5.8%) , refreshingly hoppy with citrus notes and Sea salt Cider, tangy & appley with a gentle sparkle. 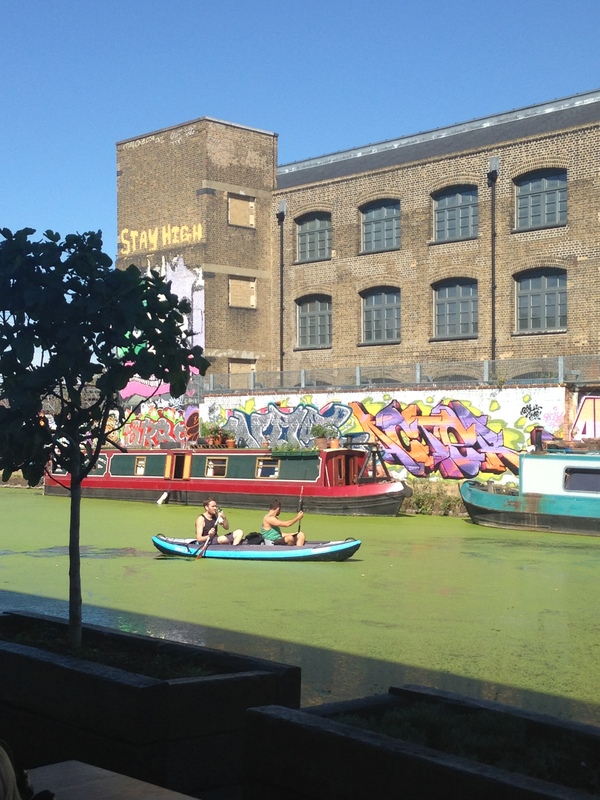 Sitting outside with the canal boats, cyclists and some thirsty punters paddling up for a beer stop in their kayak. A great location for a leisurely lunch enjoying the Summer sun. Howling Hops: 1- 10 decisions? There are a few craft breweries in the area including Howling Hops -UK’s first Tank bar – serving beer direct from tank as opposed to cask or keg, with 10 varieties on offer (howlinghops.co.uk) On our way out we passed the brewery and suddenly a strong aroma of coffee wafted in our direction. 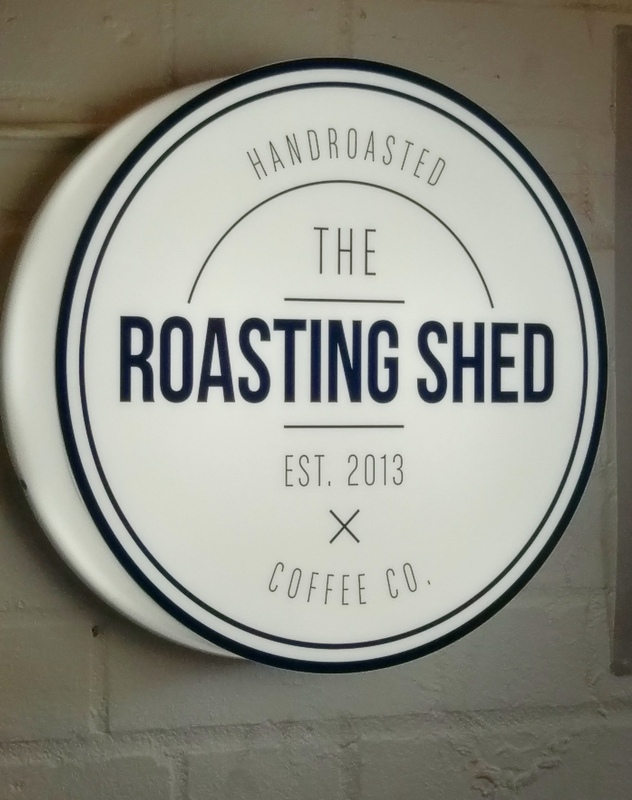 We discovered The Roasting Shed (theroastingshed.com), micro coffee roasters started by Ricardo from Quindio, Columbia. He learnt all about growing & roasting coffee from family & friends back home. The business has grown in 3 years from garden shed to the current base in Queens Yard. 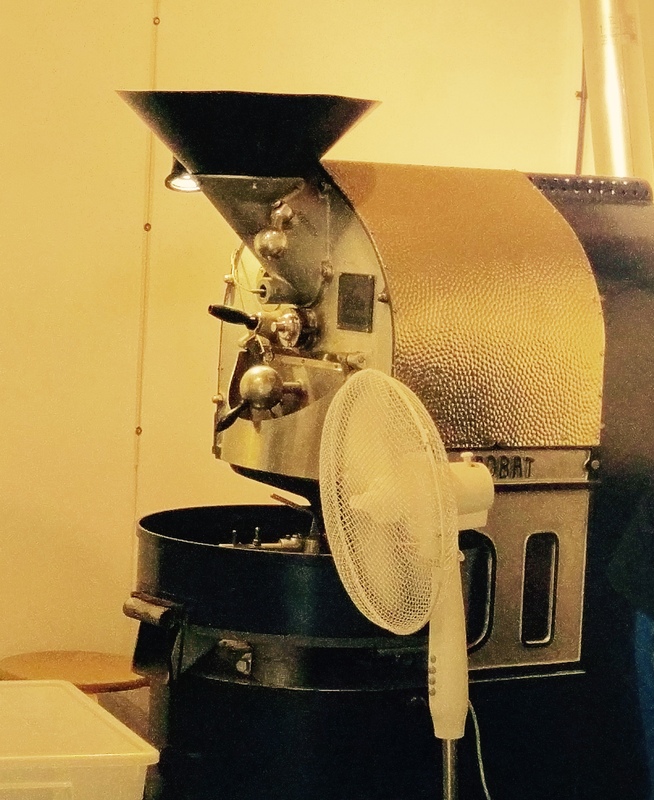 We chatted with Neil, a qualified Barista trainer & roaster who honed his skills in Guatemala. 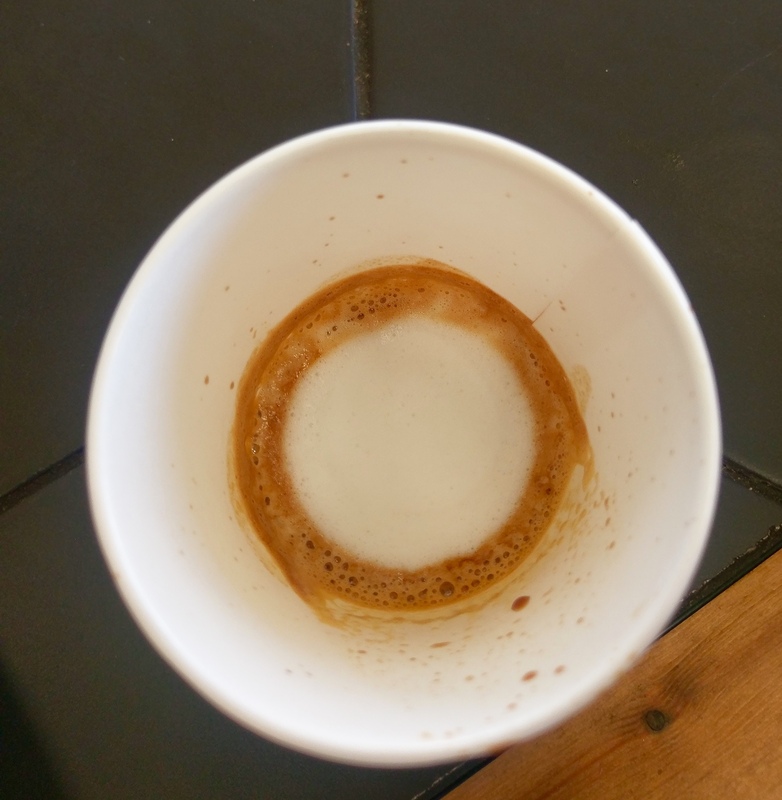 He expertly made us Macchiatos made from 100% freshly roasted Kenyan beans – a great balance of sweet, tongue tingling flavours with a hint of acidity – & welcome injection of caffeine after lunch. 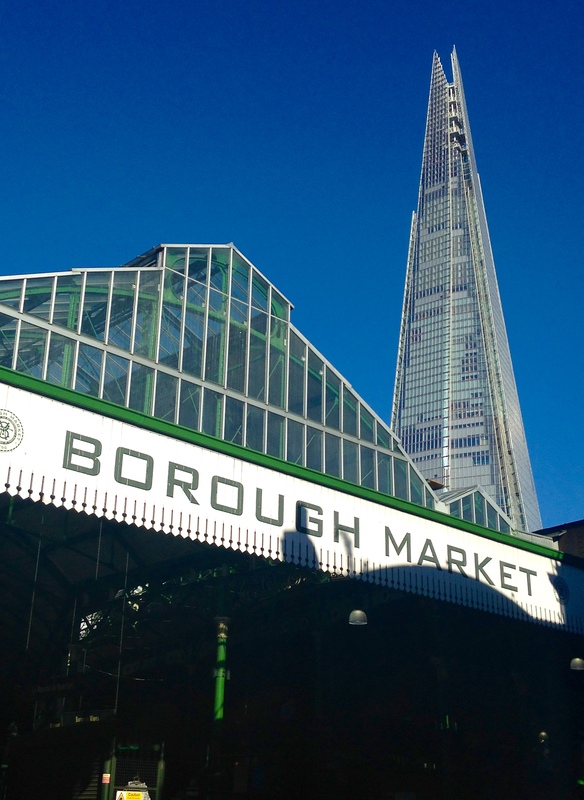 We then headed for what is one of the most well known food markets in London – Borough Market. 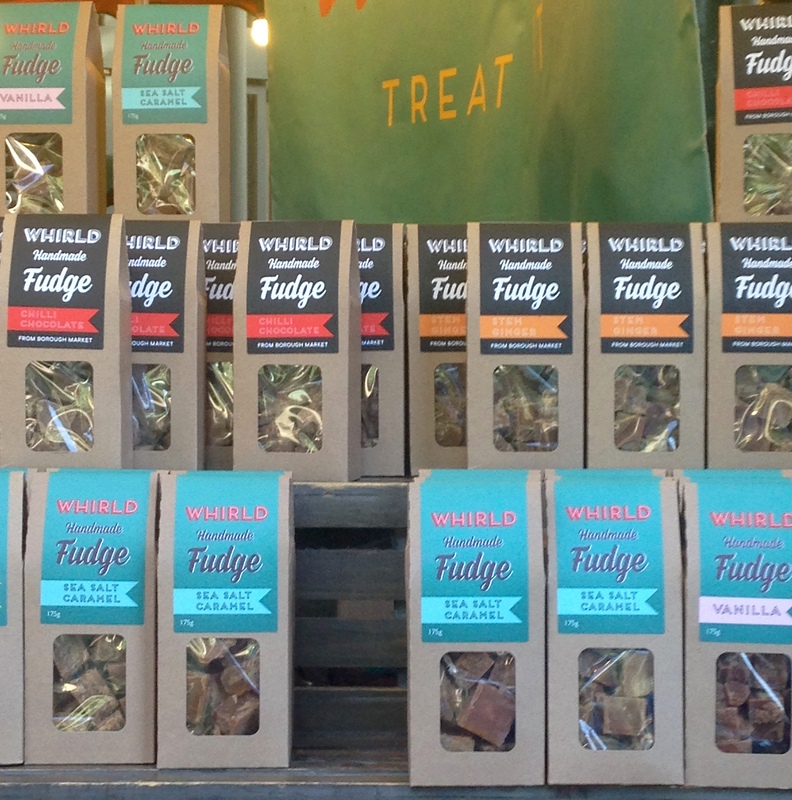 We visited on a day when there were only a limited number of stalls but still managed to taste a few samples of Swiss & French cheeses and fudge from Whirld (whirld.co.uk) from the classic rum & raisin to the more unusual liquorice. We then headed for Gelateria 3Bis (gelateria3bis.co.uk) recommended by my good friend Louise who had visited their 2 shops in Rimini, Italy. Their London shop is opposite the market in Park Street and they make small batches of Italian gelato, sorbet & frozen yoghurt on site . We tried the Eton Mess, marscapone & fig and pistachio flavours – sweet, creamy & smooth and very popular especially with the Mediterranean like weather. Our final destination was Old Spitalfields Market, where we meandered round the fashion, jewellery & accessories stalls before heading to Brick Lane. As we took in the street art & atmosphere the restauranteurs were in friendly competition encouraging us to try their Indian food which we declined as we already had plans to visit Dark Sugars (darksugars.co.uk) one of my favourite chocolate shops. 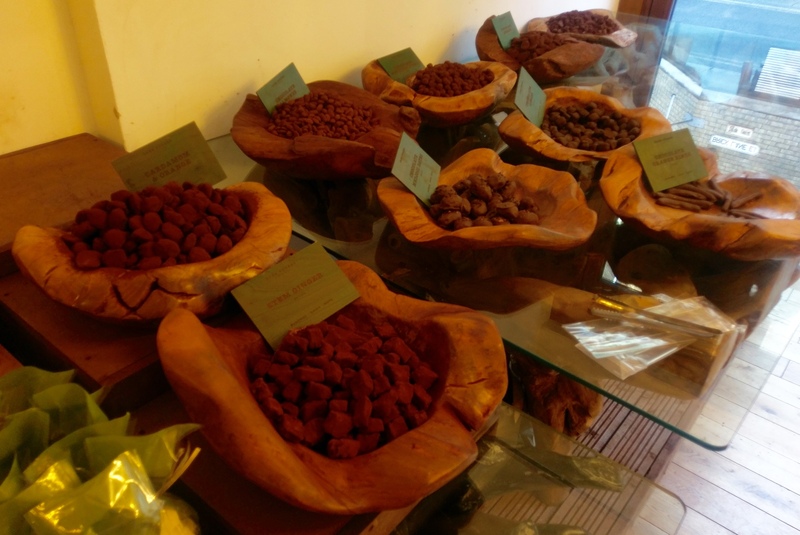 As we entered we experienced the rich aromas & the truffles, pearls & chocolates, beautifully displayed on polished wooden bowls. My particular favourites are the orange & cardamon & gin & lime truffles and they also carry a good range of vegan chocolates. They looked very tempting but we opted for a cool iced latte, sipping, people watching & chatting about our next food adventure. 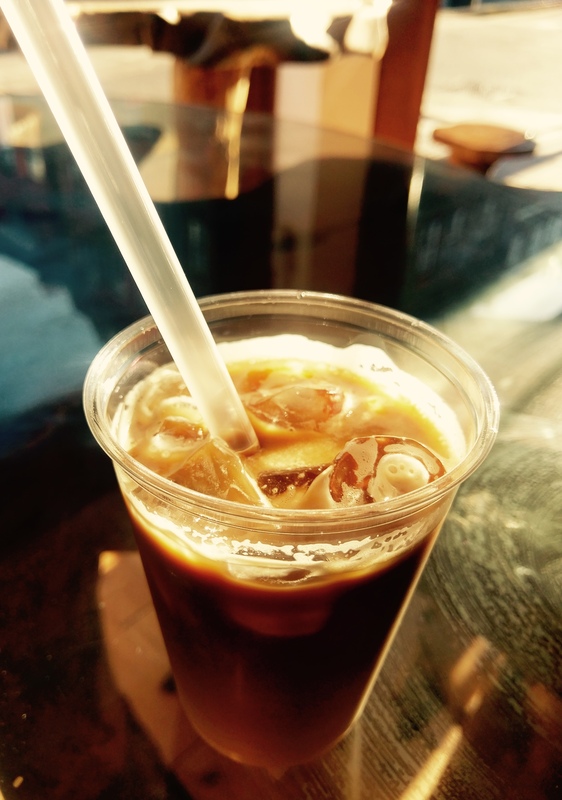 Our East/ South East London food & drink picks …. taste2taste highlights.